I have been happily pinning since 2010 when this visual tool exploded onto the scene and became our best way to procrastinate. Now no longer the blogger’s secret, this powerful tool is a driving force of visual social media and a search engine in its own right. So, why the fuss about Pinterest and can business owners really use it for leads? Well, in short – it’s a big deal for many reasons, and yes, they can. How it can boost your business. How to create imagery for Pinterest. Pinterest currently has over 70 million users, and as of 2015 approximately 90% of users are women. Pinterest is a visual content platform – you “pin” from websites, upload images, re-pin from others, and collate and curate “boards”. Pinterest is a power player in leveraging visual content, and visual content is a BIG deal. In the content- saturated world we now tweet, like, and live in, visual content speaks louder than ever, gets you noticed, and has more traction than text alone. Since the majority of communication is nonverbal, pretty looking pins do more than just add to images to a collection – they allow your brand to communicate strongly in a visual space. Also, if women are your target audience, this is the place to be, given the stats. Pinterest is a massive search engine in its own right and is a great platform for being discovered by new eyeballs and clients. Create boards for self-promotion: pin images from your blog with the URL in the notes area to drive traffic to your site. Pinterest can be a really effective direct referral source for visitors and the re-pinning act creates more potential readers. Make it all the easier to pin from your site by adding a pre-pinned link to click on in your blog post. Document an event or marketing device with images and pin them on a board, allowing the concept to be shared visually. Check out how Brand Republic documented the Starbucks free latte and extra shot promo on Pinterest. Creating stories as boards is a great way to harness visuals, and also offers another platform to share on. You can re-purpose the images in a blog post, and include the board links to follow to get more traffic bang for your buck. Group ideas and concepts on boards to inspire others and encourage social interaction. For example, a beauty brand could host a Spring colors, brights, palette inspirations etc, or a business could include client stories and testimonials as images, favorite quotes, behind the scenes and more. 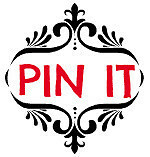 Plain old advertising: Pin an image with a special offer, promo or details for an event. Make it look beautiful and it will get seen and re-pinned. The great news is that you don’t need to be a graphic designer to make pins look amazing, there are plenty of free and low-cost platforms to help you create images full of impact. Choose a recent blog post (or, indeed, an old one that has evergreen content). Next, create an image using Canva or your favorite photo editor. The image should include the title of your blog post and your website URL. This is so that when this gets re-pinned we can still see who created it. Add this image back into your blog post and update it. Open up Pinterest and pin this post to a board. Add a short description to the pin, and also paste your URL again in the description box. A great tip too is to create visuals of quotes from your blog and pinning them. Well done! You have re-purposed one post and leveraged the power of Pinterest and visual content to get your site seen and searched for.